Welcome to the month of October, the month when all the ghosts, goblins, vampires, were-wolves, and aliens come forth. I personally love Halloween, what about you? I’m really looking for-ward to Halloween this year because my 4-year-old is going to wear the same costume I wore when I was four. For those of you that have known me for any length of time it will probably not surprise you that my love of reptiles extends so far back, it’s a dinosaur costume… should be fun! September was a busy month for the Orange County Scottish Rite, we started the month on Satur-day the 8th with the first day of our fall reunion class, then had our stated meeting on Monday the 10th, then moved onto our Super Breakfast Sunday the 23rd, and finished out the month on Saturday the 29th with of second day of our fall reunion class. Thank you to all the brothers that attended and an especially big thankyou to all the broth-ers who worked both behind the curtain and in front of it to make it happen! Here are your Masonic tidbits for the month of October. On October 12th 1911 Brother Franklin D. Roose-velt (United States President 1933-1945) received his Entered Apprentice Degree in Holland Lodge No. 8, in New York City. On October 30th 1937 Brother Lyndon B. Johnson (United States President 1963 – 1969) received his Entered Apprentice Degree in Texas. Greetings from the Lodge of Perfection. This month of March is a busy one, hang on to hats and don’t spill the green beer as we get to celebrate St. Patrick’s Day on March 17th. Also, almost every Masonic dinner will have corned beef and cabbage. For the Stated Meeting on the 4th, dinner is Chicken Alfredo. Our Stated Meeting this month will honor EL Bekal Shrine and their members. Call our Secretary for reservations. The February Stated meeting had the first presentation of the Century Club pins for this year and that was highlighted by Illustrious Pete Jantz, 33⁰, receiving a silver one designating his cumulative donation of $500. For those enrolled in the Master Craftsman program or those who are interested, were are continuing a Master Craftsman group here that will be able to teach, help, mentor and administrate the course. 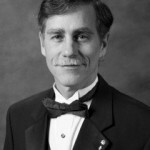 See Brother Charles Reeves, 32⁰ for assistance and participation in the group. We have Maundy Thursday on March 28th which consists of extinguishing the Lights at 7PM and Easter Service on the 31st, 8 AM. Please come and join us at the DeMolay Center for these events. The 2012 year rapidly came to a close. With it, my year as your Venerable Master is about to close. I have been truly honored to serve the Santa Ana Valley this past year. We witnessed many changes. The biggest one was our move to the DeMolay Center in Anaheim. Joining Long Beach Valley for our reunion was another. Our Century Club, Berry the Pig, CLC 365 Club and Recycling program continued to do well. Our Super Breakfasts made much needed profits for the Valley. And the Master Craftsman course produced more completions. The Maundy Thursday, Easter Observance and Feast of Tishri were held on the proper dates. All in all, I think we had a very success year and I am proud of officers and membership for making all of this happen. Thank you! Our installation on January 13 will install our newly elected Venerable Master, Steve Bass, 32⁰ KCCH and a new corps of officers. I wish them well and am looking forward to their leadership. I hope you and your loved ones had wonderful Holidays together and I want to wish you a very Happy New Year! I am excited with the Officer line for 2013. We hope to continue the great work this Valley of Santa Ana Scottish Rite and its Brothers have laboriously erected with the skills of the Craft. This is going to be a good year. 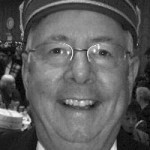 I want to thank Junior Past Venerable Master Bob McNamara, 32⁰ KCCH, for his energy and commitment in 2012 (he was committed, I saw them take him away). He steered a steady course and the Valley made progress under his leadership. My motto for this year is “Welcome, back.” We want to encourage attendance and participation not only for the Valley, but also for supporting the Child Language Center. Remember why you joined, continue the Fellowship once started with hopes of new connections. Thank you my Brothers for electing me Venerable Master. I will work hard for the Valley and I hope I can count on your help and support. Another year is coming to a close and the Santa Ana Valley has continued to make progress in many areas. The first and most important to the Valley is our move to the DeMolay Center is Anaheim. It is an excellent facility and we are renting it at a greatly reduced cost. Next is our decision to combine with the Long Beach Valley for our Reunion Classes. Not only do they have a beautiful facility, but we have been able to use multiple Valleys and present more than the five mandatory degrees. Our observance of Maundy Thursday, Easter and the Feast of Tishri were done on the proper days rather than keeping them on our Stated Meeting. This was back to traditional Scottish Rite times. Our membership has dropped by six members at this writing and is the lowest for a long time. Our efforts to interest new Masons in our Valley have paid off and I hope we will be a plus Valley next year. Our educational program through the Master Craftsman cor-respondence course at Supreme Council has increased and we now have a number of individuals that have completed the Master Craftsman I and II courses. Our members remain enthusiastic and positive and this has been a tremendous help to me as Venerable Master. Thank you my Brothers! I wish you all a wonderful Holiday Season and hope you stay well. I hope everyone had a wonderful summer and that all is well. September is going to be a special month for the Valley. We are resurrecting the Scottish Rite tradition of cele-brating the Feast of Tishri on the 15th of this month (the 15th of the Hebrew month of Tishri) at the Shrine Center. This is a Saturday night and a RSVP is requested. The Feast is the historic dedication of King Solomon’s Temple. Ill. William F. Stovall, 33° SGIG will be the guest speaker. The next morning, September 16th, our outstanding Super Breakfast will be served at the DeMolay Center, 303 W. Lincoln Ave., Anaheim CA 92806. Service will be from 9 to 1 and will have the usual excellent choices. The nearest cross streets are Lincoln Avenue and Harbor Boulevard. Tickets will be available at the door and are $10 per adult and $5 per children. 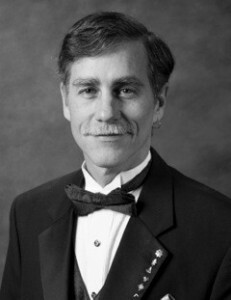 Our program for September will be a power point presentation on membership by our Lodge of Perfection Senior Warden, Honorable Steve Bass, 32° KCCH. This should be information and of interest to all the brothers. Remember, membership is the lifeline of our Valley. Starting in October, we will move to the DeMolay Center for our Stated Meeting and other Valley activities. There is a map to the DeMolay Center on the back of the Newsletter. Remember, our Stated Meeting on October 1st will be at the DeMolay Center. I hope that all is well with you and yours and that you are enjoying your summer. Adding to your summer enjoyment will be our Stated Meeting on August 6th featuring and honoring our own Ill. Raymond D. Godeke, 33⁰ IGH, and Personal Representative for our Valley. 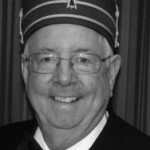 He is also the Illustrious Grand Master of the Cryptic Masons of California and the Grand Pursuivant of the Grand Lodge of California. I’m not sure how we need to address him with all of his esteemed titles, but hopefully he will fill us in on that. It should be a fun evening so plan to attend. Continuing the summer enjoyment will be our annual joint picnic with El Bekal Shrine at Kiwanis Land in Garden Grove on August 19th from 11 am to 3 pm. Directions and a map are included on another page. One of this year’s highlights for the picnic will be the Farmer John’s Hot Dog, featuring three different kinds of hot dogs. The El Bekal Steel Band will be part of the entertainment. It will be fun day and you are encouraged to at-tend. Remember the Feast of Tishri Dinner on Saturday, September 15th, with our SGIG , Ill. William F. Stovall, 33⁰, as the speaker for the evening. And then following that will be our second Super Breakfast of the year on Sunday morning, September 16th at the DeMolay Center in Anaheim from 9 am to 12 pm. Please support your Valley and attend these fun events! Greetings from the Lodge of Perfection. April was a very busy month with Maundy Thursday, Easter, Super Breakfast, and Advisory Council Meeting along with our Stated Meeting. Everyone came together as a team and it certainly demonstrated what our Valley can do. I would like to salute the volunteers that help make all of this work. First, let me commend the Stage Craft crew that consists of Bob Hjorth, Gene Harp, George Morton and Rick Wood. They come in early before our Stated Meeting and set up the rooms. They also set up and get the costumes ready of our degrees and programs. Next are the servers or Wayne’s Boys. This group consists of John Rider, Gene Harp, Charles Reeves, Waine Richey and others as needed. They serve our meals, pass out de-serts, and they always have a smile on their faces. The Knights of Saint Andrew, headed by First Knight James Segerstrom, handle our check in table and help clear the dinner tables following the meal. They also do the Bingo for the ladies. These volunteers and their dedication are valued and appreciated. If you get a chance, thank them, for the Valley could not function without them. Our program for May will be a presentation by Wayne Folsom, 32° on personal computer security. He is very knowledgeable and the program should be very interesting. It will be after dinner, so the ladies can attend. He will have a question period after the presentation. May is also going to be a preparation month for our Reunion Class in June. The dates are June 1st and 2nd. I understand that the new 14° team will be trying to unseat the 18° team as the outstanding degree team. This is the kind of competition that I like. This will be followed by a cap and ring ceremony at our Stated Meeting on Monday June 4th. This is a busy start to the month of June. As we approach the end of the first half of the year, I would like to know how we can do better for the last half of the year. If you have a minute, let me have your sugges-tions to improve our Valley. You can contact me at the Valley Office at 714 543-7277, my cell at 714 381-2949 or email macsquest@aol.com. Thank you for your interest and dedica-tion to our Valley. [dropcap]G[/dropcap]reetings from the Lodge of Perfection. This is wonderful month for the Irish as we get to celebrate St. Patrick’s Day on March 17th. Also, almost every Masonic dinner will have corned beef and cabbage. Is that good? Our Stated Meeting this month will honor EL Bekal Shrine and their members. 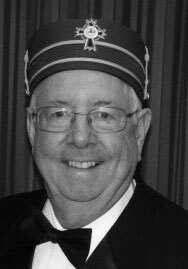 Our Secretary, Bill Sizemore, 32⁰ KCCH, is this years’ Potentate, so he will become Illus-trious Bill Sizemore at our meeting. Plan to attend and honor our Shrine Nobles. The February Stated meeting had the first presentation of the Century Club pins and that was highlighted by David Kussman, 32⁰ KCCH, receiving a silver one designat-ing his cumulative donation of $500. At dinner, Jack Slagle, 32⁰ KCCH, presented a brief presentation on the 32⁰ that was informative and well received. After dinner, the Knights of St. Andrew lead by First Knight, James Segerstrom, 32⁰, knighted four of our brothers. For those enrolled in the Master Craftsman program or those who are interested, were are going to start a Master Craftsman group here that will be able to teach, help, mentor and administrate the course. John Rider, 32⁰ KCCH and I are going to co-chair the group. It will initially meet on the last Tuesday of the month at 7 pm at the Shrine Center. If that is a conflict for some of the participants, other times will also be available. This will start in March. Let me know at of your interest at macsquest@aol.com or call the Office for additional details. And last, but not least, this will be the last Scottish Rite News edited by Gary Whitlock, 32⁰. A job change necessitates this move. He has done an excellent job and made many changes that have improved the SR News. Our new format was his idea and his help with the emailing the publication has reduced our costs. We wish Gary well and we will still see him as a member of Santa Ana. Our new editor will be Daniel Willerton, 32⁰ and you can email him infor-mation for the April SR News at danielwillerton@yahoo.com.